On the same trip to Ponce Park that I saw the spider webs in Spider Love I also found some Spider lilies on the shoreline in full bloom. You don’t usually get to see them looking this good since the flowers only last an hour or so before beginning to fade. You can see the two freshest flowers in this image with an earlier pair already wilting or wilted. 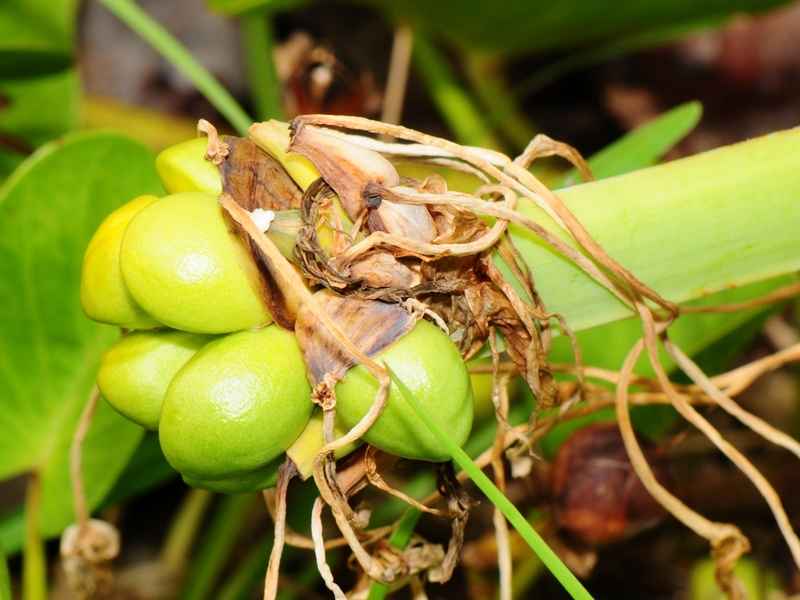 At the base of the floral group you can see the seeds forming. After a few days, the flowers are all gone and the seed heads begin getting all the nourishment from the roots. In time, these will dry up and be carried away by the water or feeding birds. Retired, living in SW Florida and spending my time at nature photography in my local area. I volunteer with a couple of local organizations to help my adopted home town. Travelling is now by airplane and car instead of a sailboat but happy anyway. 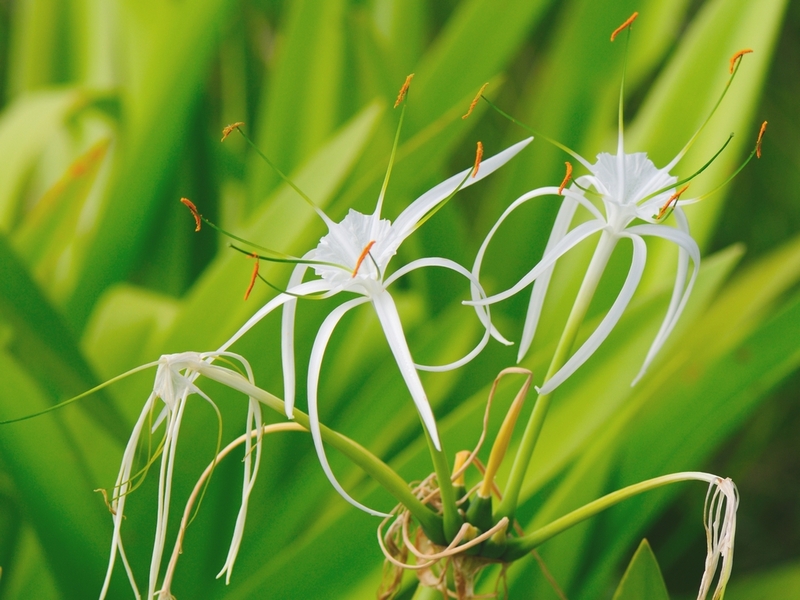 This entry was posted in Park - Ponce de Leon, Wildflower and tagged Hymenocallis liriosme, Photography, Ponce de Leon Park, Punta Gorda, Spider Lily. Bookmark the permalink. Say, you guys want some ice cream?